If you’re a fan of Rancid and vinyl, you’ll love this news. 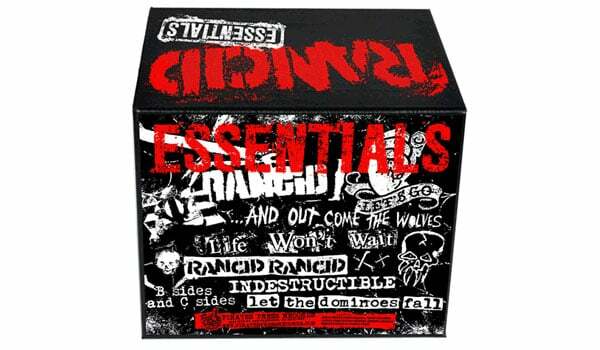 Pirates Press Recorders is celebrating Rancid’s 20th anniversary with a big “Essentials” 7″ box set. This boxset contains 92 sides of music – 46 re-mastered 45rpm 7”s housed in a leather boxset. Cool stuff! To commemorate 20 years since Rancid’s inception in 1992, this boxset contains 92 sides of music – 46 re-mastered 45rpm 7”s housed in this [leather] boxset. This truly is the essentials – fully documenting twenty years of Rancid in audiophile quality & top-of-line digs.